Looking for secluded Buffalo River log cabins to rent for vacation??? Let our family home be your family's home-away-from home. Relax in our cozy cabins and roam our 1,200 acre paradise. You’ll find plenty of room to roam, lots of inspiring views, and just about everything any man, woman or child needs to unwind and get back in touch with our natural heritage and the healing inner quiet everybody’s looking for these days. Some folks say it’s a perfect log cabin rental resort for families, church groups, parties, family reunions, and just relaxing with friends. Others use it as a rustic hunting lodge, a remote fishing spot, or a home base for taking the kids atv 4-wheeling and canoeing. Whatever you’re looking for in Arkansas USA vacations for the family, we’ll help you find it. And we’ll make sure you enjoy your private getaway in our comfortable Buffalo River log cabins. "We enjoyed our second visit as much as our first. Maybe we’ll see you again this summer." We are on Facebook-"Buffalo River Log Cabins= Bear Creek Log Cabins" join us for last minute specials and availability. "Your little heaven on earth is beautiful. We are already planning our next stay." Our guests enjoy family day trips to nearby Branson, Missouri and Eureka Springs, Arkansas as well as the Ozark National Forest and Blanchard Springs Caverns near the Ozarks Folk Center. We're just four minutes from Buffalo National River Park on US Highway 65 in the Middle River Section. This is your perfect headquarters to float "The Buffalo," hike the Ozark Highland Trail, and enjoy the scenic roads and trails the Ozarks and the National Forests are famous for with your motorcycle, four wheel drive, or mountain bike. Welcome to our little corner of heaven! You're welcome to bring your ATV 4-wheelers for four-wheeling, or your UTV for trail riding. You can enjoy hunting and fishing on our property at NO CHARGE as long as you have a valid Arkansas license and hunt or fish in a safe and legal manner. You can easily obtain a hunting or fishing license from Arkansas Game & Fish Commission when you arrive. We'll be glad to help you plan your next MO - AR family reunion, vacation or week-end getaway. To get you started we've included lots of information about our log cabins and fun day-trip destinations around the Buffalo River National Park and surrounding area in the outdoor family vacation articles below. Buffalo River Vacation Rental Cabins: Our VERY private vacation rental cabins offer a perfect family reunion location. Hunting clubs and large groups are welcome. 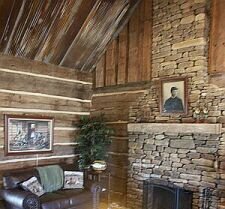 Buffalo River Arkansas Log Cabin Rental: Our Buffalo River Arkansas log cabin rentals are cozy and Family-Friendly. Affordable fun for romantic week-end getaways and family vacations. Buffalo River Vacations Calendar: Our family vacations calendar of reservations lets you plan your group's activities. Arkansas Family Vacation<br>Plan Your Best One Ever: Arkansas' favorite Buffalo River family vacation spot is Bear Creek Log Cabins. Kids love hiking and hunting arrowheads while parents just relax. NW Arkansas Family Getaways: Plan your Arkansas family getaways around our log cabin rentals in the Buffalo National River area. Our cabins are convenient for last minute week-ends or vacation trips. Private Bass Fishing Lake: Free bass fishing lake adventure awaits you when you stay at our newest log cabin. Arkansas Vacation Map: Bear Creek Log Cabins arkansas vacation map shows you where to find our family friendly log cabins and on road-off road trails. Fishing Tips: Fishing is more fun when everything goes right. Follow the links below for the best in fish catching equipment and family-friendly fishing trips. ATV Trail Riding Park:South Missouri, North Arkansas atv trail riding paradise for 4wheeling fun. Lake Fishing in the Ozarks: Our lake fishing hideaway makes a perfect vacation, retreat, or reunion spot for families and groups that like to fish! Mountains + River Rental Cabins: Our Ozarks rental cabins stay busy ALL year long, especially on <b>holiday week-ends</b>. What's New in Buffalo National River Country. Plan your family vacation, honeymoon or week-end getaway around activities in North West Arkansas and Branson Missouri. Family Vacation Log Cabin Rental: Contact Us! Our cabin rentals near the Buffalo National River provide homey accomodations PLUS kid-friendly atv 4-wheeling, fishing, canoeing and hiking fun. Where To Ride ATV in AR, MO, OK, LA, TX, KS, AL and Beyond? 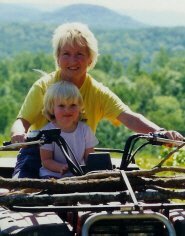 Wondering where to ride atv with your family?